What's your pre-launch Toronto pick Ny (my nickname)? CNz or TRIBE? 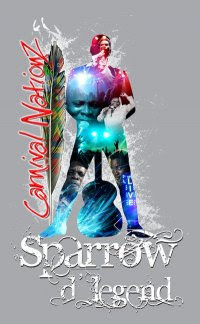 So it's that time of year again, and Carnival Nationz is looking for male and female models to showcase costumes for their 201o presentation, "SPARROW ... D'Legend." Please send a face and bathing suit body shot to modelsearch@carnivalnationz.com by March 20, 2010. On a side note, CNz band leader and DJ, D Bandit did something that made him really stand out. It was during lunch on Carnival Tuesday in TRIBE. I had just finished eating, chilling and wondering how I would get the energy to start up again ... and out of the blue, I felt a tap on my boots. It was him, waving and smiling at me, already walking away to get back to the music truck! So I'm jumping with his band, CNz!